If you're after a casual yet stylish outfit, go for a beige coat and blue ripped jeans. Both of these garments are super comfortable and they will also look great when worn together. You could perhaps get a little creative in the shoe department and spruce up your look with Maison Margiela nail heel ankle boots. Parade your outfit coordination chops by pairing a beige leopard fur coat and navy jeans for a casual ensemble. 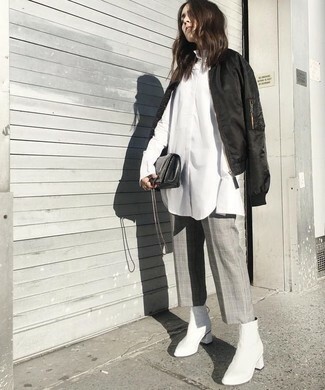 Add a pair of Maison Margiela white leather ankle boots to the mix and you're all done and looking spectacular. 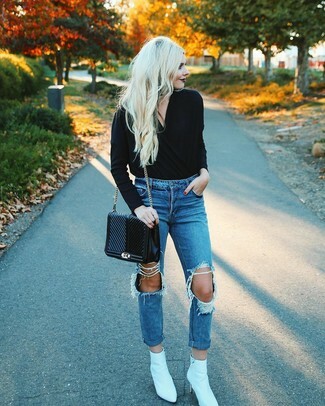 If you're a fan of relaxed dressing when it comes to fashion, you'll love this super cute pairing of a black v-neck sweater and blue ripped boyfriend jeans. 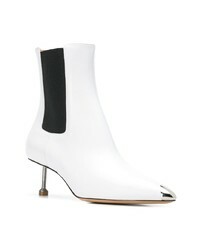 To add oomph to your ensemble, complement with Maison Margiela nail heel ankle boots from farfetch.com. If you don't like putting too much effort into your combinations, make a green and red shirtdress your outfit choice. 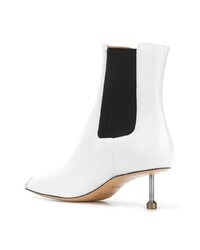 You could perhaps get a little creative when it comes to footwear and dress up your look with Maison Margiela nail heel ankle boots from farfetch.com. If you're a fan of comfort dressing when it comes to your personal style, you'll love this uber cute pairing of a pink knit oversized sweater and a pink corduroy mini skirt. Maison Margiela nail heel ankle boots will instantly smarten up even the laziest of looks. We all outfit for comfort when it comes to dressing up, and this combination of a black bomber jacket and grey check culottes is a great illustration of that. 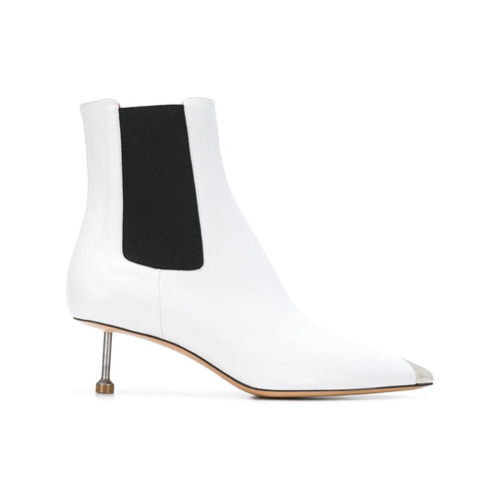 And if you want to instantly up the style of your look with one piece, enter Maison Margiela nail heel ankle boots from farfetch.com into the equation. If you're after a casual yet totaly chic outfit, pair a beige shearling coat with blue ripped jeans. As well as super comfy, both pieces look amazing paired together. You could perhaps get a little creative in the footwear department and dress up your outfit with Maison Margiela nail heel ankle boots. If you're in search of a casual yet chic getup, pair a black cropped top with a white pencil skirt. As well as very comfy, these items look great when paired together. Rocking a pair of Maison Margiela nail heel ankle boots is a simple way to add some flair to your getup. 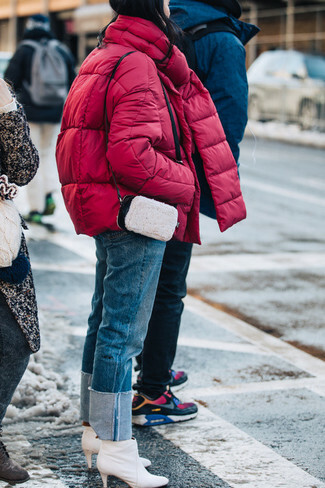 If you're searching for a casual yet absolutely stylish getup, consider teaming a red puffer jacket with blue jeans. As well as very comfy, both garments look great when paired together. And if you want to instantly kick up the style of your look with one piece, add Maison Margiela nail heel ankle boots to the equation.